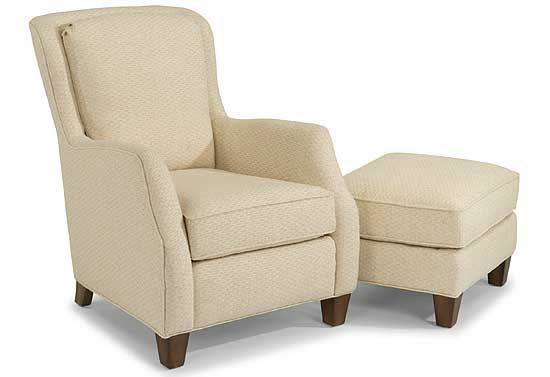 The Allison Fabric Chair by Flexsteel features a curvy silhouette accentuated bt welt cording and sweeping lines. Its set-back arms curve slightly and a picture-frame back outlines the full back cushion for an eye-catching display. Tall, tapered wooden legs provide visual height to Allison’s classy appeal. Coordinating Allison ottoman is available.